The Place to Buy Vintage Moroccan Carpets. 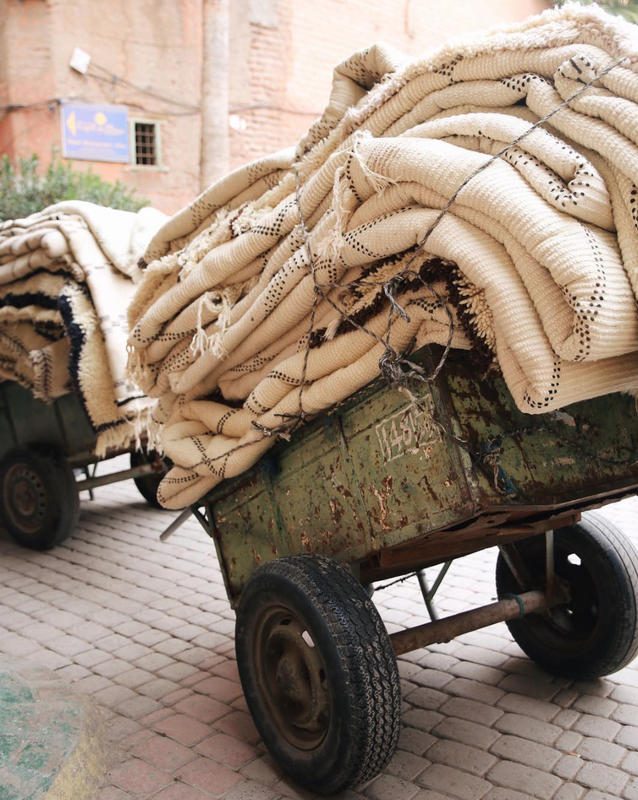 Vintage Moroccan Carpets and rugs has been the leading retailer and wholesaler of Moroccan Berber Carpets and Rugs in Marrakech since 1990. Our wide selection of carpets and kilims provide the perfect way to personalize any home. We make it easy for our customers to add their own unique styles to their living spaces thanks to our big stock of about 20,000 Carpet. We take pride in using our expert eye for creativity to help our customers hone theirs. Our experienced team of sales associates and home stylists is committed to finding the right one-of-a-kind piece of art to meet any decorating vision. Our inventory of high-quality carpets will help you really feel the continuity between now and the past that Moroccan carpets give to your home.